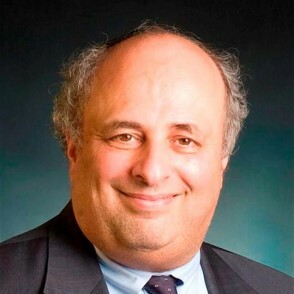 Dr. David Pelcovitz holds the Gwendolyn and Joseph Straus Chair in Psychology and Jewish Education at the Azrieli Graduate School of Jewish Education and Administration of Yeshiva University. He is also special assistant to President Richard M. Joel. In addition, Dr. Pelcovitz is an instructor in pastoral counseling at the Rabbi Isaac Elchanan Theological Seminary. Serving for more than two decades as director of psychology at North Shore University Hospital-NYU School of Medicine and clinical professor of psychology at NYU School of Medicine, Dr. Pelcovitz has consulted extensively with the Jewish community in the United States, Europe and Israel on a wide range of issues facing children and adolescents. Dr. Pelcovitz, who received his PhD from the University of Pennsylvania, has published and lectured extensively on a variety of topics related to education, parenting and child mental health. Areas of research and clinical specialty include family violence, the impact of domestic violence, stress management, transmitting values to children and adolescents and coping with trauma and loss. His most recent publication was “Balanced Parenting,” a book he wrote in collaboration with his father, Rabbi Raphael Pelcovitz, on parenting from a Jewish perspective. Gratitude: What does recent psychological research teach us about the importance of gratitude- and how can we build these insights into our every day lives? How to raise your child to be a mentch: what does psychological research teach us about mentch making? How does this relate to Jewish values?